Yes, I encourage everyone to follow that procedure for product testing (no test gear needed) and send me the results to dave@eevblog.com and I'll add them to the spreadsheet. 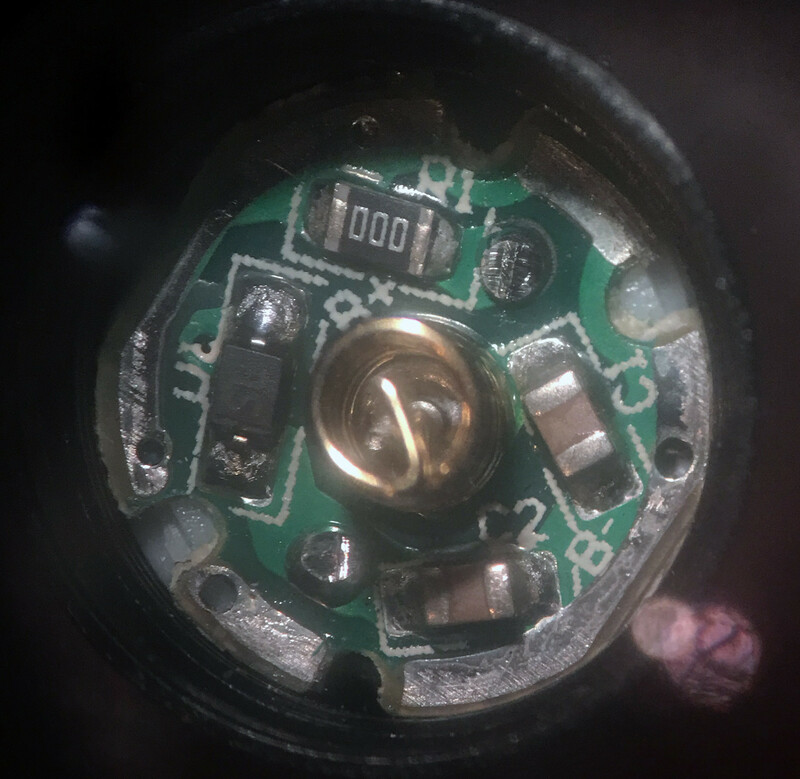 How do I determine when the product dies for a flashlight, without internal boost converter, and it just gets dimmer and dimmer? 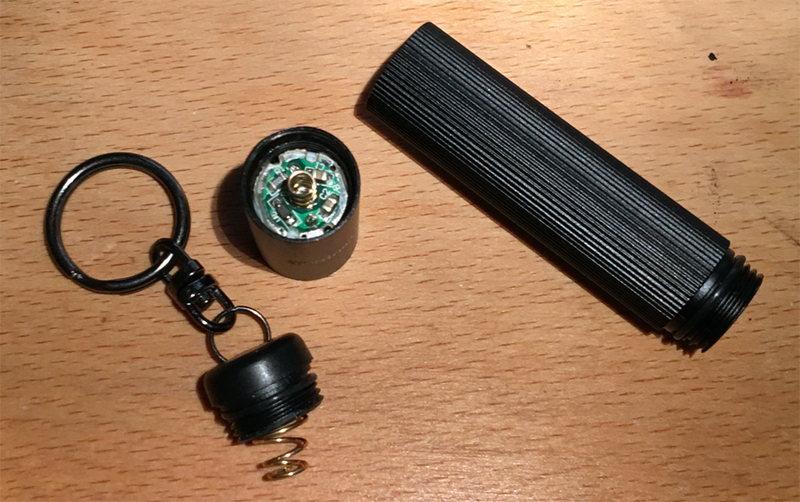 I don't have a flashlight with AAA cells (only a heavy old Maglite with 3 type D batteries and an incandescent bulb), but ordered one from eBay (5 EUR shipped and from Germany, batteries included, they don't make much money with this), for 2 AAA batteries, to test both Batteroo sleeves. I have this lux meter. I think a valid procedure would be to wait until I think it is too dim to be useful anymore, then measure the light intensity (might be tricky, have to shield it from other light) and then do the other tests, where the time the product died can be verified with the lux meter. But maybe the modern flashlight has a boost converter, then it will die fast and this is no problem. maybe the modern flashlight has a boost converter, then it will die fast and this is no problem. 2xAA is only about 2.5V in reality which isn't enough for a white LED. So...yes, it has a boost convertor. The lux meter will be needed to make sure it outputs the same amount of light with/without batteroo. In Waynes famous test I think his flashlights weren't running the same brightness at the start of the test. Good point, will test this. Meanwhile the first step is done, the MP3 player turned off.This is the full logging. 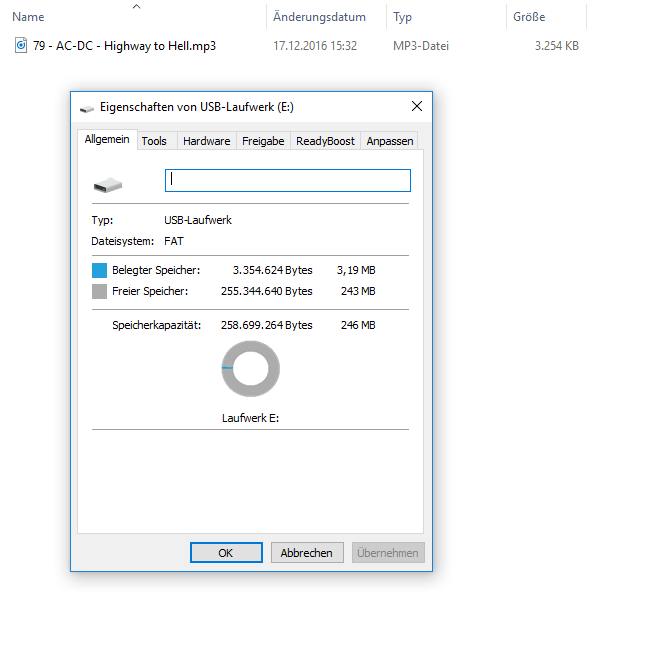 As you can see, without Batteroo it ran 13:35 hours, pretty long. Loudness was the same all the time, as you can see in the peak value column. Cut off voltage was 1.117 V, after this the battery regenerated a bit. If it cut out at 1.1V then it's not using all the battery. There could still be 10%-20% left in there. I guess it is some kind of joule thief construction, a coil and the transistor might be on the back. Didn't want to destroy it, will do this after the test. At 0.1 V it turned off. The ambient light was about 38 lux. It turns on again at 0.63 V when increasing the voltage. At which light output should I say it is dead? At 0.9 V it is still bright enough that I can illuminate a paper in 1 m distance and read the text in darkness (about 1/8 of the max light power, but the eye is logarithmic, so it doesn't look that much darker). Would this be a good number? Below this it will decrease really fast anyway. The package says battery life time is 18 hours, so for the testing procedure might be sufficient to check it every half an hour or so with the lux meter, while using the other sleeve to create various curves. More complicated than I thought to define a good test procedure for a flashlight. Might be easier than I thought. On the package is a small "*" after the text "up to 18 hours burn time", which says "average hours of burning until residual flux amounts to 1 lumen". Maybe I should use the specified operating time to determine if it is dead, because this is how the product is specified, no subjective arguments. This means: measure lux at start (which is at 16 lumen output as specified), then measure the time until it is 1/16 of this intensity. Drawback of this method is that this would be really the worst case for Batteroo, because when the battery is at maybe 0.5 V, it will be only seconds if Batteroo starts at all until it is 1 lux and below again. For a flashlight like this, one can measure the total accumulated light output. I think it may not be perfect, but it is more objective. An indirect and simpler way to do this is a relative and comparative measurement using a lux meter. 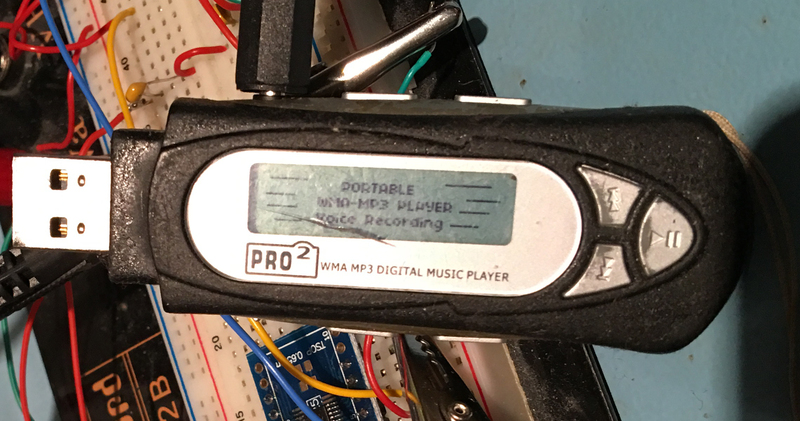 The lux meter is better to have a serial interface. One can set the lux meter at a fixed distance from the flashlight and record the lux value vs time. The number to compare (with and w/o the sleeve) is the integration of lux over time. Do you by any chance happen to prepare ordinary (bulb) flashlight as well? Might be a good benchmark testing a resistive type flashlight which is just that, a pair of wire across the battery(ies). While waiting for the Batteroo sleeves, I did the MP3 player test again, this time with "Duracell plus power" (only genuine with the Duracell bunny ). Here is the logging. The MP3 player turned off after 14:30 hours, compared to 13:35 hours with the Energizer alkaline power batteries, so not much difference. I've started testing a single AAA MP3 player, a Creative MuVo TX supposed to be 11hours on alkaline. Forgot to plug headphones in Oh well, still a good test. Started the test again with headphones. All same batch Duracell Ultra's and all batteries are numbered on camera. Hard to find products around the home and lab with AAA's and a short run time conducive to testing. Once the Batteriser arrives I'll repeat the test with the Batteriser on a new cell and then slip the currently discharged cell into the Batteriser and see how much longer it runs for. Have not tested this player for dropout voltage yet. As I've mentioned in the other thread Dave, you have the world's bestest Batteroo testing equipment, PROBES! Anyway, waiting with anticipation ! Right, if they use AAA, usually it is for low powered devices like remote controls etc. And testing it with an Apple keyboard could need a few months. Maybe that's the reason they chose this for their promotion video? Joe Sixpack doesn't do methodically side-by-side tests, but just sees the low battery warning and then is happy if it is full again when he puts on the sleeve, even if it might have run longer without the sleeves. Quiescent current would be interesting, too, because this could make Batteroo unusable for low power devices. BTW, the latest Apple "magic" wireless keyboard uses integrated rechargeable batteries, as many other devices nowadays. I glued the tracks with double-sided tape to the pertinax board, for same test conditions for each test (they are a bit loose otherwise and the train can even derail), and will do a test without and with Batteroo on camera with a fresh pack of batteries and with a timer until it stops (already tested it off camera, it does just stop after a few hours). This is exactly how I've setup my product testing spreadsheet. Right, if they use AAA, usually it is for low powered devices like remote controls etc. And testing it with an Apple keyboard could need a few months. Maybe that's the reason they chose this for their promotion video? Joe Sixpack doesn't do methodically side-by-side tests, but just sees the low battery warning and then is happy if it is full again when he puts on the sleeve, even if it might have run longer without the sleeves. Bingo. That is what they are counting on. It's up to us engineers to run controlled tests and compile data on a bunch of products to prove what the product actually does. And at every chance we my point out that the battery gauge in every product is rendered useless. I've got a single AA powered Percy, will use that with a converter and oval track. 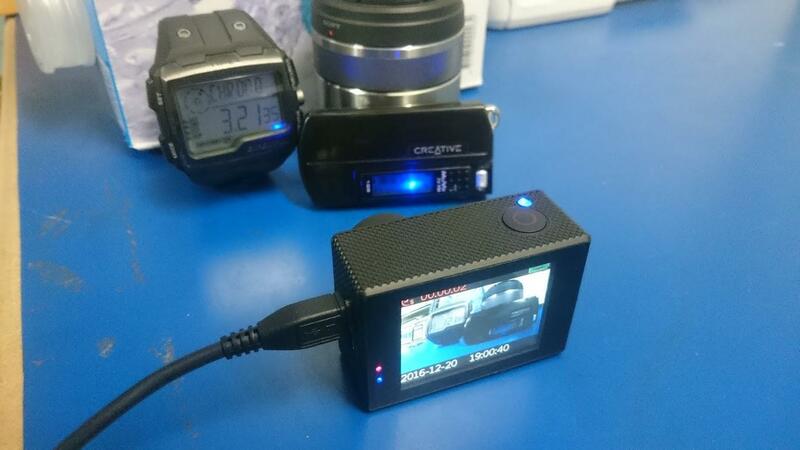 To check when a product stops I'm simply time lapse recording every product next to a stopwatch. When the product stops, low batt comes on etc I have my time (and video proof). 4 AAA's I tried to do some tests myself, I gave up due to Picoscope software that does not allow logging of data . So 4 AAA's going your way. I agree, a flashlight with a classic bulb would be great for testing. But we should define a threshold for the brightness in % at which we consider the flashlight being unusable, and use that threshold for all flashlights for a proper consistency. The tests with the mp3 player is the best option for now. I think the problem with defining a threshold is that it's subjective, it's possible I can see better than you in the dark. Also using Batteriser the light will be full brightness until it goes dark. How do you compare them? One will have a gradual dimming, one will have full brightness till the end. Maybe integrating the amount of light, I don't think that will work either. The tests with the MP3 player are the best they can do right now in my opinion. Thanks. One will get damaged with wires soldered on it for testing, so that leaves 3 for a product. 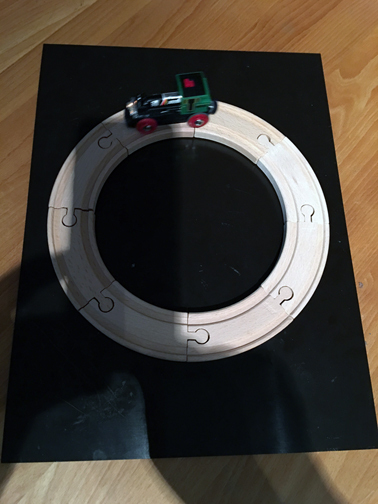 Right, but that's no fun I already learned a lot by building it and setup the automated measuring procedure. For the characteristic curves I checked my HM8012 multimeter and the uCurrent with this nice device: http://www.voltagestandard.com/DMMCheck_Plus.html (with the nice case you can see at the bottom, but an older version, without the AC/DC switch, just DC). Cross checked with a BM257s multimeter and all results are very well below 1%. And the ADG608 switch is really good, no difference when measuring the voltage at an input and when switched to an output. 4 AAA's I tried to do some tests myself, I gave up due to Picoscope software that does not allow logging of data . I had a Picoscope many years ago, and it was possible with it. But looks like they removed the feature in later software? https://www.picotech.com/support/topic6815.html Maybe the Picolog software supports your Picoscope. But they have a nice and documented API, it is easy to write some data logging program for it. Which is the ballpark we all expect the Batteriser to improve things by on most modern products, at best. If that turns out to be the case then it's a dead duck product. No one is going to give up the functionality of their battery gauge for 10-20% extra battery life and have the thing just die on them. One of Batteroo principal claims is that they can be used with "dead" batteries. I think we need to do tests starting with "dead" batteries and show the public how much longer things will run. eg. A LED torch might start up again with a Batteriser but I don't think it'll run for more than 20-30 seconds. That's a looooong way off the 80% that Bob claims it will do. This would make for good, simple to understand video footage ("Batteroo lies! ").